Free Assessments | Medical Billing Assessment | Outsource Receivables, Inc.
With so many industry changes on the horizon, it’s time to get a clear picture of the health of your practice. Outsource Receivables’ Stress Test is the second opinion you need. 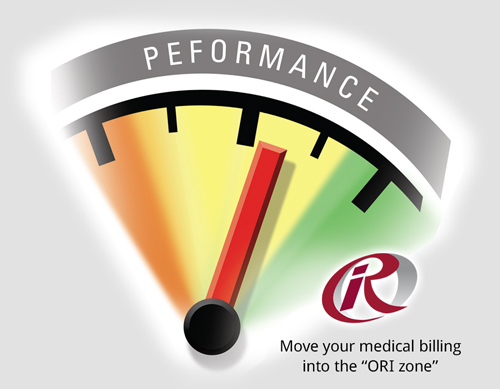 What you will receive is a customized performance improvement assessment for your clinic and an initial evaluation of existing medical billing operations, current performance benchmarking, and identification of opportunities for financial and overall practice readiness. Our knowledgeable professionals conduct the evaluation with minimal impact to your organization through a three-step process that includes: survey assessment, data gathering and analysis, and an on-site presentation of the findings. Data gathering begins with a short survey that provides an overview of your practice. This includes: Contracting and Credentialing; Coding and Auditing; Operational Policies and Procedures; Information Technology System Infrastructure; and Revenue Cycle Performance. Data gathering begins with a tailored request for information related to your medical billing environment. This includes key financial, operational, and organizational data as well as information on existing medical billing tools and reports. We identify specific performance issues and quantifiable areas of opportunity, both of which guide the development of the schedule and agenda for the on-site review. Assessment of the efficiency and performance of key revenue cycle functions including scheduling, pre-registration, registration, insurance verification, financial counseling, case management, medical records, billing and follow-up. Assessment of the frequency of patient co-payment collections, as well as financial counseling. Identification of medical billing workflow and account bottlenecks from the point of referral through the delivery of care to the point of account resolution. Analysis of the organizational structure and any performance goals related to key functions within the medical billing cycle. Assessment of current staffing levels and evaluation of staff capacities and competencies. Evaluation of information systems currently used in the revenue cycle and identification of needed capabilities or opportunities for improvement. After completing our assessment, we make specific recommendations for improved performance that include changes in processes, policies and procedures, organizational structure, technology and staffing. We also estimate the expected impact of each opportunity including the potential improvement of your key performance indicators and expected financial outcomes. To learn more about the benefits of outsourcing to ORI, contact our experts today. Outsource Receivables Inc. provides medical billing expertise to surgical, family practice, specialty clinics, therapy offices, and mental health clinics throughout the Upper Midwest. With offices in Minneapolis, Minnesota and Chicago, Illinois; we have a special focus on clinics in the areas Minneapolis, St. Paul, Madison, Milwaukee, Des Moines, Sioux Falls and Fargo.